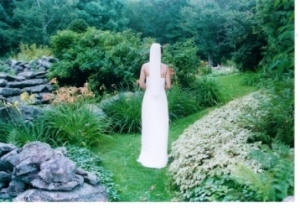 Clark’s Cove Farm & Inn is a premier destination venue for Maine wedding receptions and other events. We are a small rustic but elegant Inn and a working apple orchard located in midcoast Maine on the Pemaquid Peninsula in the Village of Walpole. Our location has been accused of being the “Prettiest Orchard in Maine” and often referred to as a hidden gem. We believe we are the pastoral jewel of midcoast Maine. We host events each year from the second weekend in May through the last weekend in October. We can accommodate up to 200 guests ouside and 125 in our 1860 circa barn. Two tastefully appointed suites situated in the main barn are available May 15 – October 31. Each suite offers a master bedroom, kitchen, sitting area and private bath. 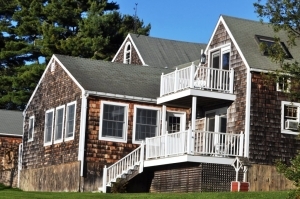 Additionally, we offer an 1,500 square foot apartment in the custom crafted Carriage House. 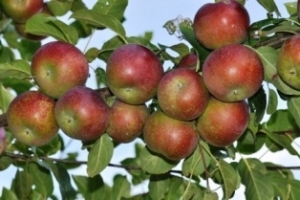 We Clarks Covians are proud of our orchard that continue to produce amazing crops each year. Boasting over 30 varieties of standard and heirloom apples, our orchard resembles a mature vineyard with the branched dripping apples. There is a store on site but you are welcome to pick your own. Our season is open from the second week in September through the end of October.